Sonic Cherry Limeade is one of the most refreshing drinks I have come across for summer months. The Sprite, Lime and cherries blend so well together. No need to rush to Sonic Drive-Inn to enjoy one. 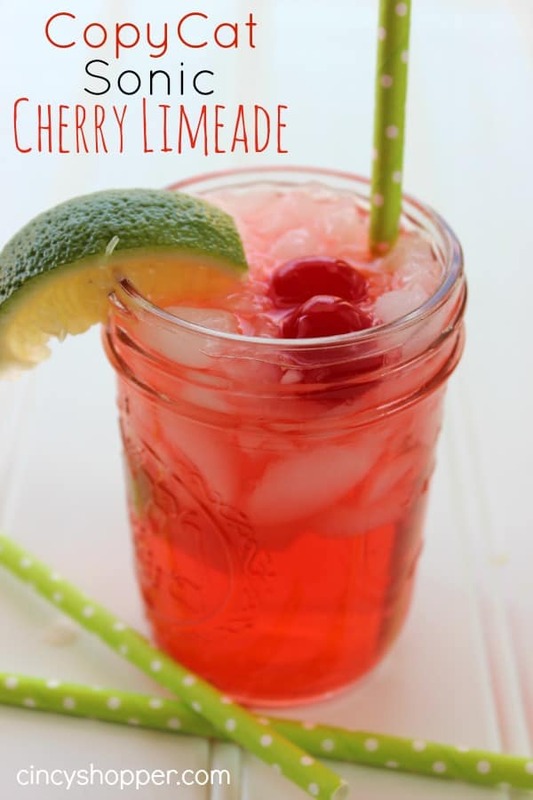 You can make this CopyCat Sonic Cherry Limeade right at home and save some $$’s.